Parikia is the main town and port of Paros and has an excellent tourist infrastructure. It is built in the traditional Cycladic style with whitewashed houses, paved alleys, picturesque churches scattered throughout the narrow streets of the old town. Archaeological sites and museums are also available. The beautiful 4th Century A.D. church of Panagia Ekatontapyliani, the ancient monument of Asklipiio and the ruins of the castle prevail among the landscape. 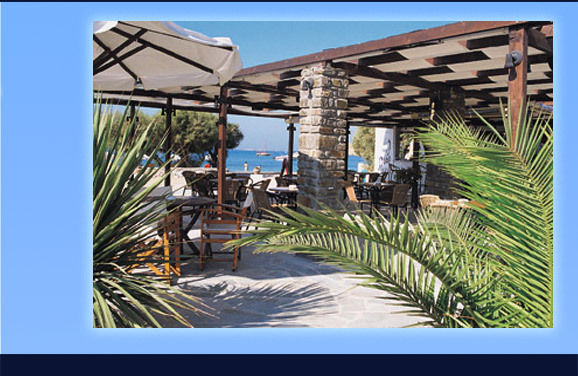 On the other hand, "cosmopolitan" Parikia offers a wide choice of bars and clubs, cafeterias, restaurants and taverns to please all tastes. 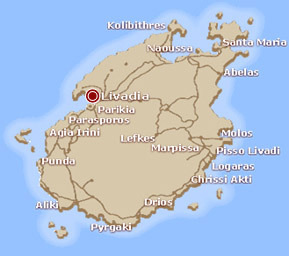 Apart from Livadia beach, close to the town are the beaches of Krios, Kaminia and Agios Fokas. Another noteworthy beach is Chryssi Akti which is ideal for windsurfing .